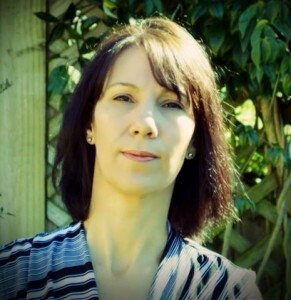 Jackie G Mills is a bestselling multi genre writer of Novels, Short Stories, Flash Fiction and Children’s books. Her love of reading and writing started from an early age and has not dissipated. Even though she’s been writing for most of her life, she only recently decided to go the publishing route. She likes to create characters that are not always fearless, but perseveres regardless of their fears. When she’s not out and about exploring and drawing inspiration from her surroundings, she spends time with family and friends. Everything! I look at the world around me and thoughts and images start to pummel my brain, demanding to be put on paper. I love to create stories out of common everyday experiences. Sometimes I write them down as is, other times I twist and squeeze them into tales of Fantasy. I use mind maps to plan my stories and characters. I do diagrams and colours and descriptions, jotting down ideas that stumble into my mind during the day. These are then dissected and fleshed out over a period of time. I do actually talk to my characters. I thought I was the only one! I ask them questions like, ‘would you really act like this?’ or ‘this would be a dumb thing to do, don’t you think?” Thus far they haven’t yet answered back – not allowed anyway. Write, read and learn as much as you can. But, don’t get too caught up in all the do’s and don’ts. We all have our own style and voice – find yours. I never really considered Traditional Publishing. I have a demanding job as well as a young family so I wanted to write at my own pace. I have never been sorry. I think how you decide to publish is very personal and my advise is to explore the options and decide what is right for you. I think self publishing will continue to grow and improve in quality. There are many serious writers out there willing to put the hard work in to get a near perfect book.